Dry eyes are one of the most common reasons people visit their eye doctors. 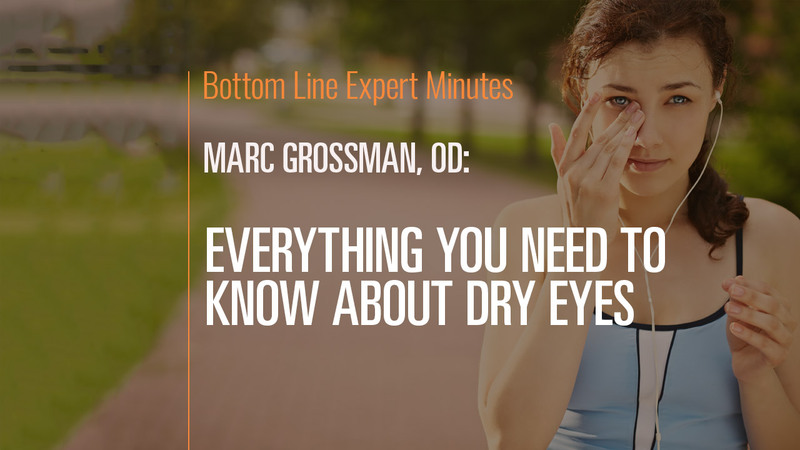 In this video, Marc Grossman, OD, LAc, holistic developmental/behavioral optometrist and licensed acupuncturist, lists things that can contribute to excessive dryness including artificial indoor environments…aging…general dehydration…and fluctuating hormone levels. In addition, arthritis, hypothyroidism, diabetes and other health conditions can lead to dry eyes. And common beverages, including coffee, and many medications, such as antibiotics, antidepressants and blood pressure medicines, can increase risk for dry eyes.